LAGOS, Nigeria, November 18, 2013/African Press Organization (APO)/ -- With interests from hotels, agriculture, and real estate to power generation and oil exploration, Transcorp, the rapidly transforming conglomerate is providing ordinary shareholders a uniquely diversified opportunity to share in Nigeria's burgeoning economy. Following major acquisitions in power and agribusiness, new initiatives in its hotel and tourism business and the commencement soon of production from its existing oil block, Transcorp shareholders are already reaping rewards, with the stock one of the strongest recent performers on the NSE. The extraordinary turnaround in the Company's business was highlighted in a recent letter to shareholders by the Chairman of Transnational Corporation of Nigeria (Transcorp) Mr. Tony Elumelu, CON. Giving an update on the recent rights issue by Transcorp, Elumelu noted that the company has already made significant progress in key sectors of its business; a development that is already impacting positively on the company's share price which closed at N3.00 on Friday last week, up from 50 kobo not more than two years ago. 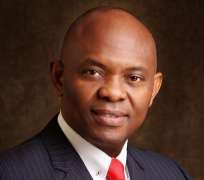 According to Elumelu, Transcorp, has since the conclusion and listing of the rights issue, made several important business decisions which will have significant impact on its fortunes. Some of the strategic initiative outlined by the Chairman, include the completion of the acquisition of 100% equity stake in the 1000MW capacity Ughelli Power Plc through its subsidiary – Transcorp Ughelli Power Ltd (TUPL). TUPL paid $300m (N48.3 billion) for the complete ownership of the plant. On November 1, 2013, TUPL successfully took over ownership and physical possession of the plant and plans to raise the output from the current 160MW to at least 1,500MW over the next 3 to 5 years. Further significant progress was shown with the signing of an agreement with Hilton Worldwide to commence the development of a 300 room five-star hotel in Ikoyi, Lagos. This project, which will commence in Q12014 and complete in 30 months, according to Elumelu, will be undertaken through Transcorp's subsidiary, Transnational Hotels and Tourism Services Limited. The hotel is the first of eight new internationally-branded hotels Transcorp plans to build over the next few years. Just as the Ikoyi project is getting off the ground, Transcorp, he revealed, has also completed the acquisition of a site in Port Harcourt for the development of another 300 room five star hotel. “We expect to sign the management agreement in first quarter of 2014 and commence construction by the second quarter,” Elumelu stated in the letter. In agribusiness, Transcorp is producing orange, mango and pineapple concentrates from the Teragro-Benfruit plant in Makurdi, Benue State. The plant in October 2013, received the ISO 9001:2008 (Quality Management System) and FSSC 22000:2005 (Food Safety Management System) certifications indicating that its products and processes meet the highest global standards. Another important highlight of the Elumelu communication to shareholders is the news of the production date for Transcorp's existing oil block, OPL 281, which he said will be expected to begin production before the end of 2014. “This marks a significant progress in the company's oil and gas strategy” he stated. Elumelu thanked Transcorp's more than 300,000 shareholders for their support and assured them of further opportunities ahead, stressing that that the Board and Management will not relent in positioning Transcorp as a true vehicle for popular participation in Nigeria's bright future and prosperity. “We have put in place a world class management team and are committed to developing the synergies between our natural resources portfolio and our power interests, creating an integrated energy approach that directly links Nigeria's natural resource wealth to the daily needs of our people”. Transnational Corporation of Nigeria plc (Transcorp) was incorporated on 16 November 2004, with the objective of creating a truly Nigerian conglomerate with the ability to compete successfully on a global scale. Its portfolio of businesses are in the hospitality, agriculture and energy sectors of the Nigerian economy include Transcorp Hilton Hotel, Abuja; Transcorp Hotels, Calabar; Teragro Commodities Limited, operator of Teragro Benfruit juice concentrate plant- Nigeria's first-of–its-kind juice concentrate plant; Transcorp Ughelli Power Limited and Transcorp Energy Limited, operator of OPL281. Distributed by APO (African Press Organization) on behalf of Heirs Holdings.